We always want to maintain pearly white teeth and there are several options we can do to achieve it. Since teeth whitening is a bit expensive, there are a few home remedies you can use. One example is using baking soda to whiten your teeth. If you check blogs or YouTube you can see a lot of people on trend using baking soda as teeth whitening. The question is, is it effective? Baking soda is also known as sodium bicarbonate. Baking soda is an abrasive powder which is a perfect agent for whitening the surface or your teeth. It usually reacts to lemon and vinegar to create a foaming effect. Baking soda is a cheaper way to whiten your teeth but to maximise the effect you can mix it with hydrogen peroxide which can help whiten the teeth from inside out. However, keep in mind that the baking soda and hydrogen peroxide combination of these two ingredients may cause sensitive teeth and gums, so be aware of the side effects and discontinue use if you’re unable to handle the sensitivity. There are pros and cons of using baking soda. It effectively whitens the teeth at the cheapest price. It doesn’t contain fluoride if you are concerned with poisoning. It is natural and doesn’t contain harmful chemicals. Effectively removes plaques and harmful bacteria on your mouth. Abrasive might cause erosion of enamel if not used properly. Fluoride is not present so you are susceptible to cavities. Messy to prepare than toothpaste. It has an unpleasant bitter taste. Not a quick option if you are in a hurry. 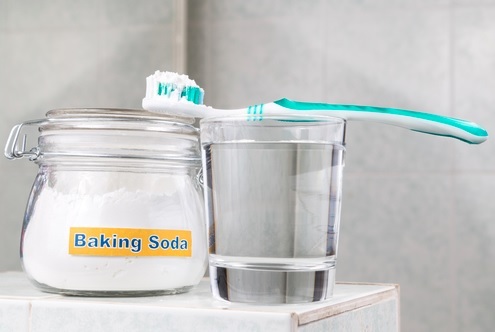 It is important that before you do home remedies, you already check with your dentist because baking soda is not always recommended for everyone.